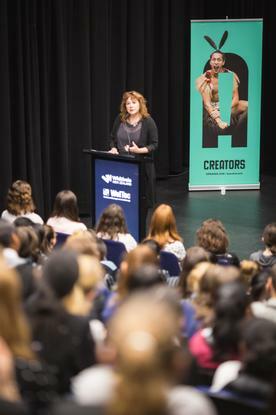 Broadcasting, Communications and Digital Media Minister Clare Curran says New Zealand’s ICT sector needs more young women to help break down stereotypes and redress gender imbalance in the industry. “Right now there’s a gender imbalance in the tech industry. The sector employs more than 120,000 people, but only 23 per cent are women. I want that to change. It needs to be much higher,” says Curran, who spoke to nearly 200 secondary school girls taking part in ShadowTech as part of TechWeek 2018 (May 19 to 27). “The median salary in New Zealand is $48,800 whereas the median salary for a worker identified as ‘digital technology skilled’ is $82,000, according to the Digital Skills Report,” she points out. She also expresses concern that just 3 per cent of 15-year-old girls are considering a career in technology. “I want young girls to see there’s a future for them in tech and I hope ShadowTech Day encourages and inspires them to study and work in this field,” says Curran. “Technology is part of every industry and most careers and New Zealand’s tech sector is the third largest contributor to our economy. By 2025 this government wants it to be the second largest contributor to GDP. “To get there, we’ll need many more skilled workers. That’s why we’ve introduced the Hangarau Matihiko curriculum, which starts in schools next year, from which we’ll build the workforce of tomorrow. "Exposure to technology from a young age will help address some of the stereotyping issues that tech isn’t for girls. “Our tertiary fees-free initiative will benefit tens of thousands of students next year and even more when it expands by 2024 to provide access to three years tertiary study fees free. ShadowTech gives secondary school girls the chance to experience the real world of ICT for a day. ShadowTech will also be held in Christchurch (May 22), Auckland (May 23), Palmerston North (May 25), Hamilton (June 7) and Dunedin (June 26). Edwina Mistry, ShadowTech executive director, says 600 girls are participating in six cities with over 300 mentors from 100-plus organisations. Chris Gosling, chief executive at Weltec and Whitireia, says polytechnics can help ease the IT skills shortage experienced by many companies. 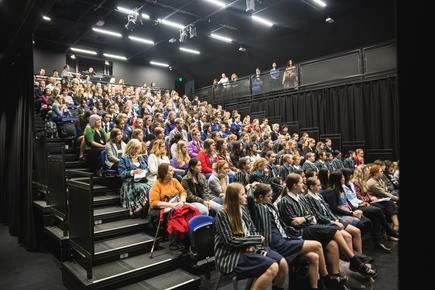 Students joining ShadowTech day in Wellington converged at Te Auaha New Zealand Institute of Creativity, where they heard about study options in IT and creative technologies, and met academics teaching in these fields.